Check out Dare to Dream to see the latest in luxury and Premier Properties on the Eastside! While we finally saw an increase in new listings in March, there was an even greater jump in sales. Lack of supply continued to push prices to new record highs. For the fifth straight month, our region has experienced the sharpest home price increases of any major market in the country. While that may be tough news for buyers, here’s the other reality: rents in the city of Seattle have increased 57 percent in the last six years. Brokers are hoping that more sellers will jump into the market this spring to help meet buyer demand. Click image to view full report. After setting a price record in February, the Eastside set yet another record in March. The median price for a single-family home sold in March jumped 18 percent to $870,000. The strong appreciation is reflected in this statistic: For the first three months of 2017, the number of homes sold priced at $1 million or more was up 60 percent compared to the same period a year ago. What was once considered a luxury price tag is now the new normal. Home prices in King County are growing about twice as fast as the national average. The median price of a single-family home sold in March soared 13 percent over last year to $599,950, an all-time high. Even though new inventory was added, it was snapped up as soon as it came on the market. About 75 percent of homes sold within the first 30 days. With just two weeks of inventory available, demand in Seattle remains as strong as ever. Packed open houses, multiple offers, and escalation clauses continue to be the norm. The pressure on inventory pushed prices here to yet another all-time high. The median price of a single-family home in the city increased 9 percent over a year ago to $700,000. Snohomish County set a new price record for the second straight month, with the median price of a single-family home up 10 percent from a year ago to $425,000. Supply is very limited, with just over two weeks of available inventory. Buyers looking for some relief from King County’s hefty housing prices are adding to the competition for a limited supply of homes. The National Association of REALTORS® recently released their 2016 Profile of Home Buyers and Sellers. Here are a few items about buyers that we thought you’d find interesting. • The top reason buyers purchase a home is they want a place of their own. • Buyers chose homes fairly close to their last residence. In our region, buyers purchase a home within a 13 mile radius of their last residence. If you’re looking to buy or sell your home, reach out to a Windermere Real Estate broker to help you successfully navigate the Seattle housing market. I believe that the big story for the coming year will be first-time home buyers. Since they don’t need to sell before purchasing, their reemergence into the market ensures that sales will continue to increase, even while inventory is limited. Thirty-one percent of buyers currently in the real estate market are first-time buyers, but it would be more ideal if that figure was closer to 40 percent. Why don’t we have enough first-time buyers in the market? With Baby Boomers working and living longer, we aren’t making much room for Millennials to start their careers. Plus, the major debt that the younger generation owes on student loans ($1.3 trillion today) hugely impacts the housing market. But the bigger issue is lack of down payments. Before the recession, many Millennials could look to their parents for help with down payments; however, these days that is not as much the case. I would also contend that the notion of Millennials being a “renter generation” is nonsense. In a National Association of Realtors survey, 75 percent of them said that buying a home would be the most astute financial decision they’d ever make; however, 80 percent said they don’t think they could qualify for a mortgage. I do believe that Millennials will eventually buy, but they’re delaying their purchasing decisions by about three years when compared to previous generations, which is about the same amount of time they’re waiting to start families as well. Mortgage rates have risen rapidly since the election, and unfortunately, I do not see a turnaround in this trend. That said, they will remain cheap when compared to historic averages. Expect to see the yield on 30-year mortgages rise to around 4.7% by the end of 2017. For those who have grown accustomed to interest rates being at historic lows, this might seem high, but it’s all relative. If I were to gaze all the way into 2018, my crystal ball takes me to the dreaded “R” word. Like taxes and death, recessions are another one of those unwanted realities that inevitably comes to visit every so often. Irrespective of who was voted into the White House, my view remains the same: prepare to see a business cycle recession by the end of 2018, but, rest assured, it will not be driven by real estate, nor will it resemble the Great Recession in any way. This article originally appeared on the Windermere.com blog. Well, it’s December; the time of year when we look to our crystal ball and offer our housing market predictions for the coming year. And by crystal ball we mean Windermere’s Chief Economist, Matthew Gardner, who has been travelling up and down the West Coast giving his annual forecast to a variety of real estate and financial organizations. Last month’s surprising election results have created some unknowns, but based on what we do know today, here are some thoughts on the current market and what you can expect to see in 2017. HOUSING SUPPLY: In 2016 the laws of supply and demand were turned upside down in a majority of markets along the West Coast. Home sales and prices rose while listings remained anemic. In the coming year, there should be a modest increase in the number of homes for sale in most major West Coast markets, which should relieve some of the pressure. FIRST-TIME BUYERS: We’re calling 2017 the year of the return of the first-time buyer. These buyers are crucial to achieving a more balanced housing market. While rising home prices and competition will act as a headwind to some first timers, the aforementioned modest uptick in housing inventory should help alleviate some of those challenges. INTEREST RATES: Although interest rates remain remarkably low, they will likely rise as we move through 2017. Matthew Gardner tells us that he expects the 30-year fixed rate to increase to about 4.5 percent by year’s end. Yes, this is well above where interest rates are currently, but it’s still very low. HOUSING AFFORDABILITY: This remains one of the biggest concerns for many West Coast cities. Some markets continue to see home prices escalating well above income growth. This is unsustainable over the long term, so we’re happy to report that the rate of home price appreciation will soften in some areas. This doesn’t mean prices will drop, but rather, the rate of growth will begin to slow. Last but not least, we continue to hear concerns about an impending housing bubble. We sincerely believe these fears to be unfounded. While we expect price growth to slow in certain areas, anyone waiting for the floor to fall on housing prices is in for a long wait. Everything we’re seeing points towards a modest shift towards a more balanced market in the year ahead. According to Veros Real Estate Solutions, the Seattle-Tacoma-Bellevue market is projected to be the fourth hottest real estate market in the U.S. in 2017. The company projects home prices to appreciate 10.2 percent in our region next year, far outpacing the rest of the country. If you’re thinking about selling, the timing couldn’t be better. With inventory at historic lows, prices at or near record highs, and multiple offers the norm, it’s an exceptional time to get top dollar for your home. 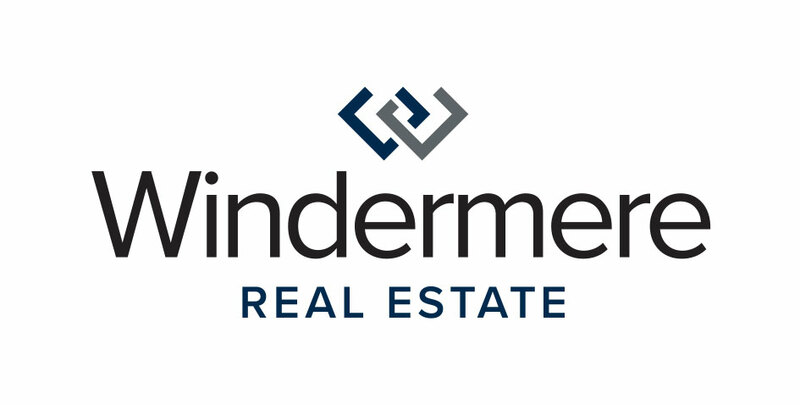 Get in touch with a Windermere Real Estate agent to receive a valuation of your home based on current market conditions, walk you through the process, and answer any questions you may have.